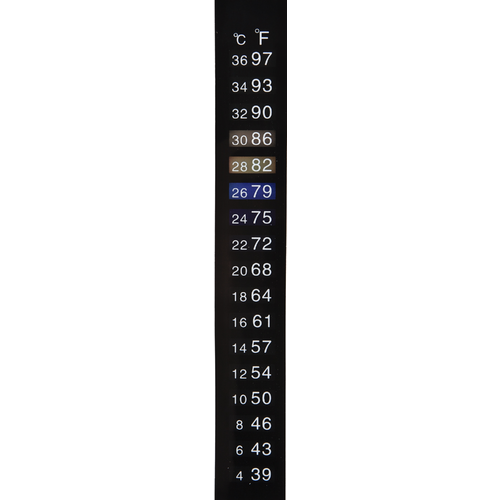 Check your fermentation temperature "at-a-glance" with this stick-on liquid crystal thermometer. Waterproof adhesive sticks to glass, plastic and metal, making it compatible with virtually any homebrew fermenter. 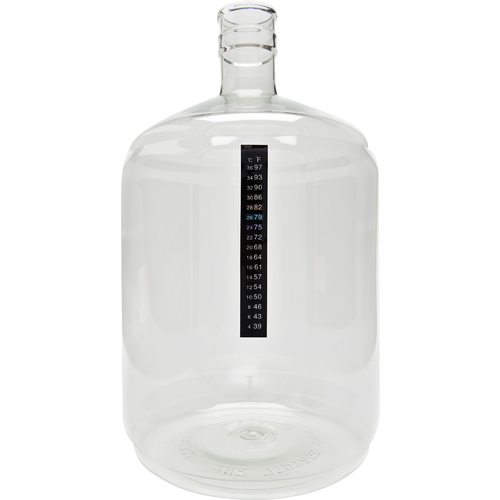 No need to open your fermenter to take temp readings, and no need to buy a temperature probe or additional equipment. 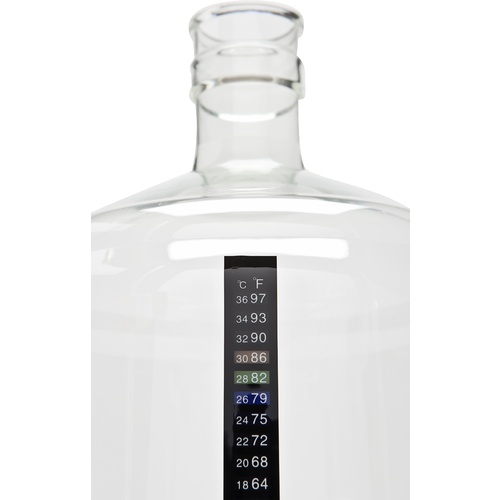 Take a quick peek and know what temp your fermentation is at immediately. Scale reads from 39 - 97°F (4 - 36°C). I put one of these on each of my 8 fermenters, has been nice to be able to check temps. This one is cheaper and seems to be about as accurate, but the adhesive is not nearly as strong as on the Fermometer. This one came off while washing my Better Bottle.